Welcome to Hail Specialist, a leader in the paintless dent repair (PDR) industry. Why PDR is the Best method for repairing hail damaged vehicles? 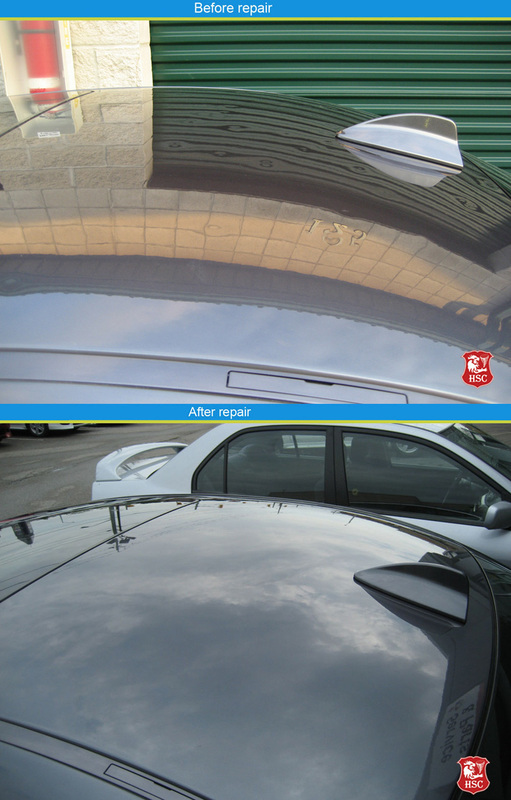 PDR, Paintless Dent Repair, is the process whereby dents caused by hail and other factors can be removed without causing any damage to the original paint on the vehicle. Hail Specialist uses the principle of pushing and lifting dents and creases back to their original contour with specially designed tools. This is the preferred method for hail damage repair, as it maintains the vehicle's original factory finish and resale value. This method also provides faster repair time (1-3days), cost effective and environmentally friendly. Vehicle manufacturers provide a factory paint warranty on their vehicles. If the original finish on the vehicle is disturbed in any way, the warranty is voided. Hail Specialist protects this warranty through it's expert hail damage repair. When a hail disaster occurs, Hail Specialist understands the importance of timeliness and quality. Our teams will arrive at the location of the hail damage within 48 hours after the storm hits. Hail Specialist will work closely with your company to facilitate the best solution and provide you with a dedicated team of technicians. We will strive to have your client's or company fleet vehicles repaired with the highest quality and within the fastest time possible. This is why Hail Specialist should be your number one choice for hail damage repair. Hail Specialist offers a Lifetime Written Warranty and a 100% Satisfaction Guarantee policy. After the vehicles have been repaired by us, Hail Specialist guarantees that the repair are flawless and tidiness. Your satisfaction is guaranteed. If panel is not repaired to your satisfaction, Hail specialist will fix it again at no cost to you. We take great pride in the quality of our service and want you to be pleased with your decision with us. We believe in offering the very best value, quality and selection to our customers.